I never thought that I'd say this but I'm kind of loving pointy shoes! Okay so they're not super pointy like some pairs I've come across but I'm more than happy with that. 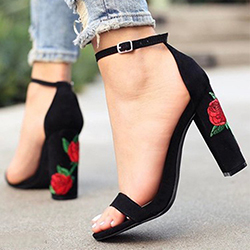 These pointed heels are sort of rounded off which makes them appeal to me, they're pretty and instantly add a formal style to any outfit which is exactly what I need from this new pair of shoes. L-R: Dune, Roberto Cavalli, SpyLoveBuy, See by Chloe, Ted Baker, Dune, Vivienne Westwood Melissa, Bourne, Ravel, Marian, French Connection.